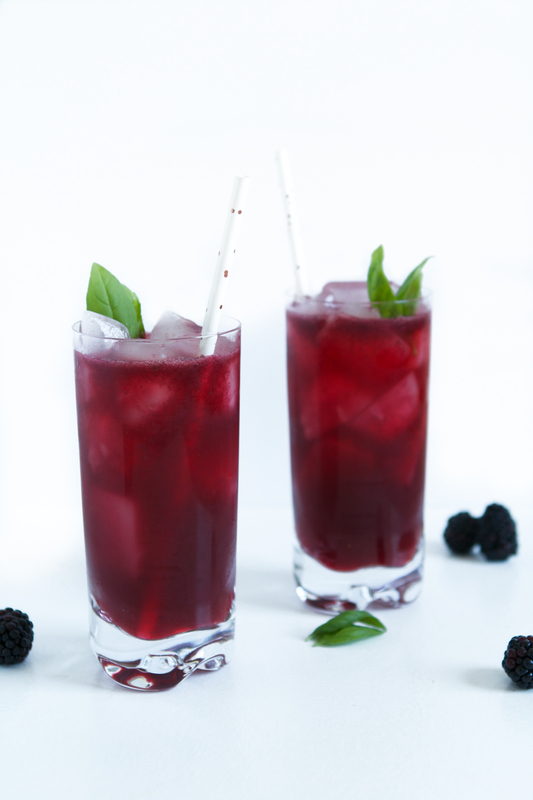 The best of summer comes together in this herbaceous gin cocktail made with blackberries, basil, and fresh lemon juice. My recent change of living quarters (i.e. a house with a yard) has given me the opportunity to explore the world of gardening. If you can call my miniature herb experiment gardening. It’s more or less a test to see whether or not I have a green thumb. And if letting my dill bolt, rather, skyrocket, counts well then I think I have a green thumb. But I’ll be damned if you need mint and don’t stop by for a stem or two, or three — hell take it all, it freakin’ grows like a weed (this might actually meet green thumb criteria). My basil however, the one herb I knew I would really use a lot of, isn’t doing too well. Actually, correction, the one herb I would hardly ever use because it’s so good I feel like I should save it for a really good meal. Yes, that’s what basil is to me. Yes, it’s weird. Well, it turns out I’ve been over zealous with the sun and extremely lackadaisical with the water. It’s basically in the middle of our backyard which, by the way, has very little shade. And it’s been 90°+ for the past few weeks. So, long story short, my basil is pretty sad, but I was able to snag a few decent leaves for this drink, and boy was it worth the basil. 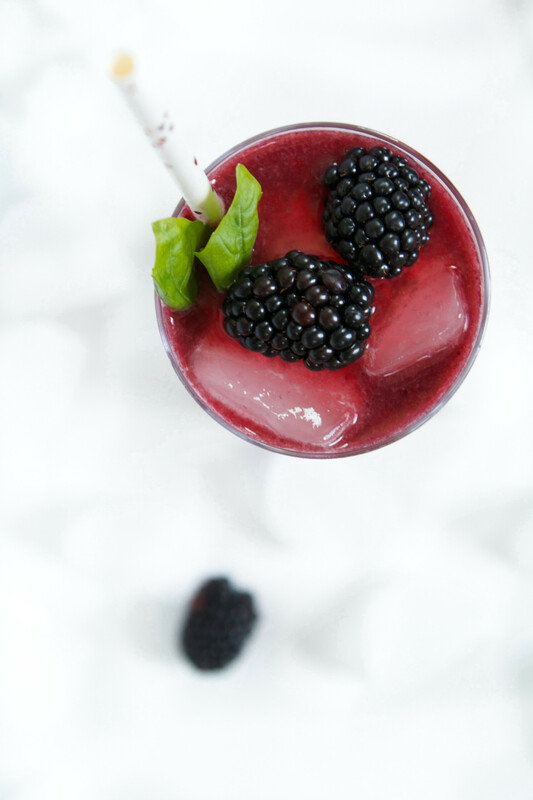 The night I tested this Blackberry & Basil Gin Smash I was home alone so Greg didn’t get a chance to try it (hey, I waited as long as I could). He finally got to try it when I was photographing it and all I got from him was, “hmmm, basily”. I’m currently accepting applications for a new taste tester. Anyway, once he learned what they were called the stars aligned for him. So, I guess the moral of the story is if you like basil, you’ll love this drink. If you aren’t so keen on basil, pull back on the amount of leaves you use or swap in some mint for the basil, that’s delicious too. 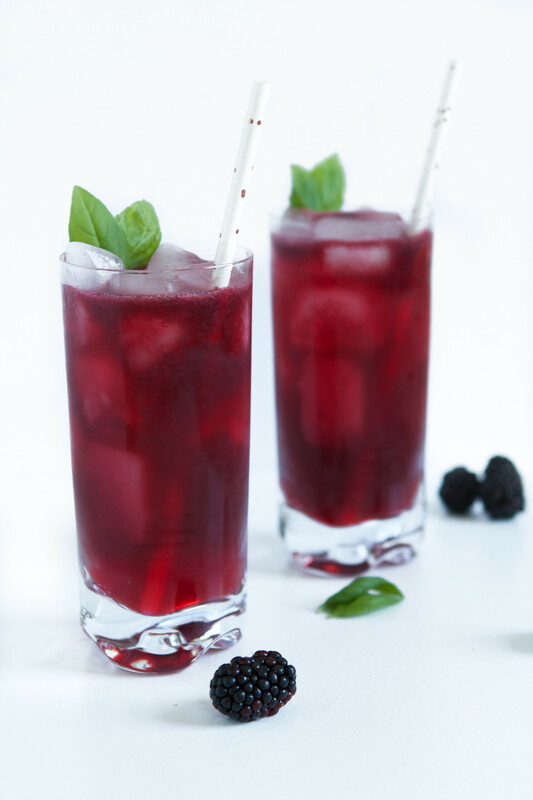 This cocktail is super easy to whip up and requires just a few ingredients, many of which you probably already have on hand. I’ve been enjoying this Gin Smash on our back patio next to my not-so-successful pot of herbs. 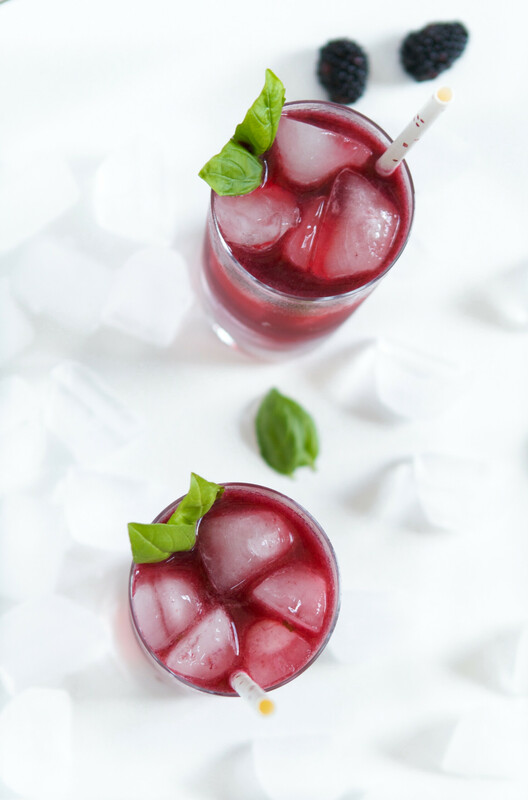 This drink is summer in a glass and I plan on cooling down with it all season long, home-grown basil or not. 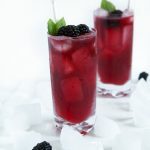 Muddle blackberries and sugar in a cocktail shaker. Add basil and lightly muddle until fragrant. Add gin and lemon juice then fill shaker with ice, secure lid, and shake vigorously until thoroughly chilled. 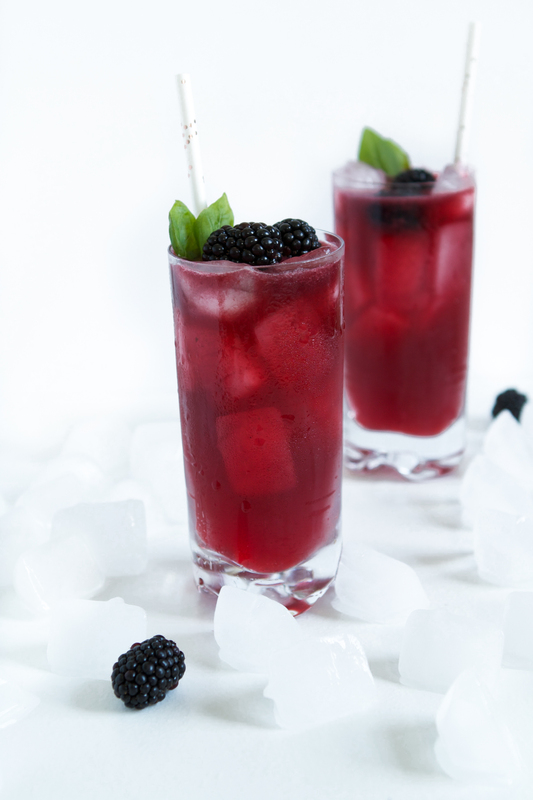 Strain into a Collins glass filled with ice and top off with chilled club soda. 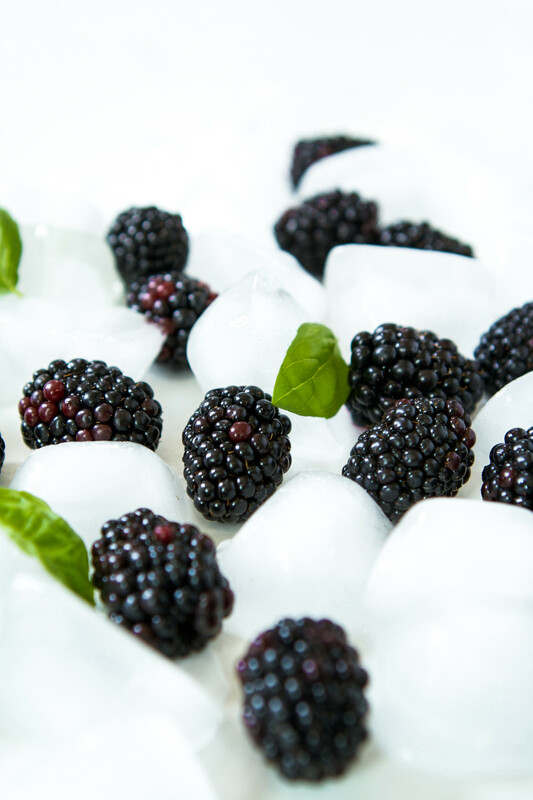 Garnish with blackberries and basil leaves. 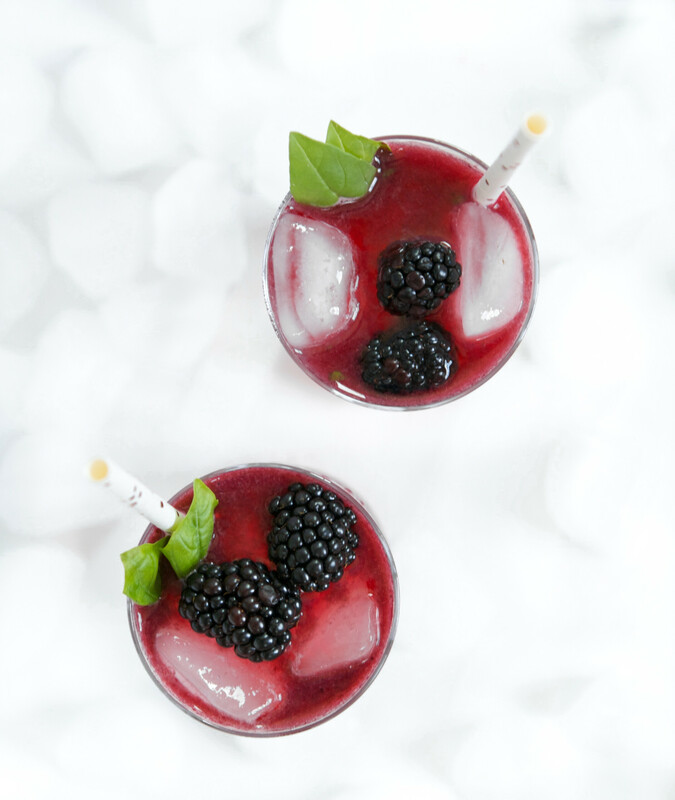 This cocktail is being featured in the #SummersaltHappyHour series on the Summersalt Blog. They’ll be sharing refreshing cocktails every Friday all summer long! This drink looks and sounds amazing! I love gin and berries so pretty sure this would be my kind of drink!